What did it feel like to grow from an… acorn? Q. What did it feel like to grow from an acorn? A. Dear G, are you suffering from a case of species confusion? My queenly cottonwood self grew from a tiny cottonwood seed. My friends the Oaks love to pelt unwary hikers with their hard little acorns on windy days in the fall. We must all have our amusements…. To grow from a miniscule windblown seed into my present magnificence I did nothing but allow the unfolding already primed and ready deep within my seed. I fastened my seatbelt, so to speak and held on for the ride. As the unfolding continues, I feel the earth’s magnetic core draw my roots downward toward its sacred center, and my trunk and branches pulled ever upward powered by the sun. 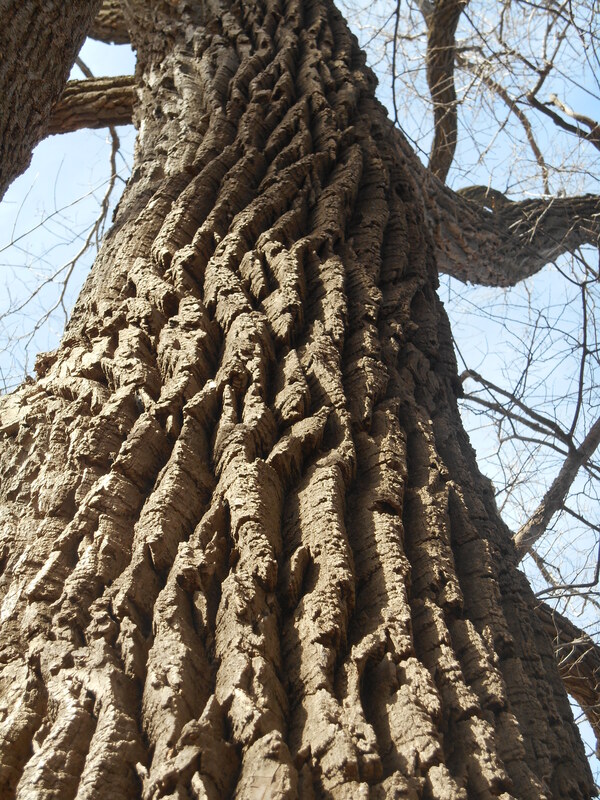 Every spring I feel my sap rising, my thousands of leaf buds rolling open, each year more and more of them, deeper bark, a wider girth, a taller trunk, a greater reach; simply the original promise of my seed fulfilled. It is my honor to feel the wind and rains, to know the dance of the grasses and then to rest each winter after my time of growth is done for the year. Each fall I must once again surrender to the ancient cycle of the seasons and release those dear golden leaves that have served me so well, knowing the time for rest and pulling inward has arrived. This has been a most satisfying life! And delightful! ← Will I ever be famous?